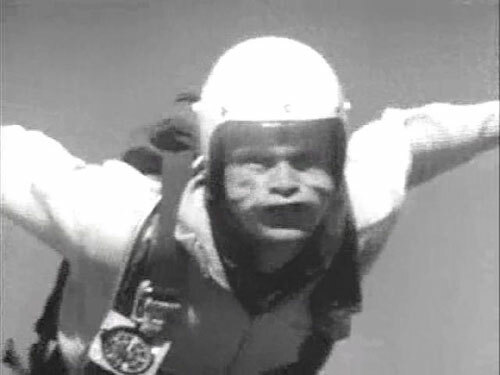 Francis’ second effort, The Skydivers, is a depressing, boring, and bitter little tale of betrayal and revenge, set in the world’s most depressing skydiving facility. Tony Cardoza stars (sort of) as Harry, the co-owner and operator, along with his wife, Beth, of the aforementioned uber-depressing skydiving facility. Harry is having an affair with a woman named Suzy, who herself is the girlfriend of one of Harry’s ex-employees, an aircraft mechanic named Frankie (played by frequent Ray Dennis Steckler collaborator, Titus Moede). This love quadrangle quickly leads to a confrontation between Harry and Frankie, and eventually even Harry’s wife Beth finds herself tempted by another man, creating what is quite a remarkable love “quintangle” in which not a single member of the group is even the least bit attractive in either appearance or personality. Just keep staring at this picture…I dare you. 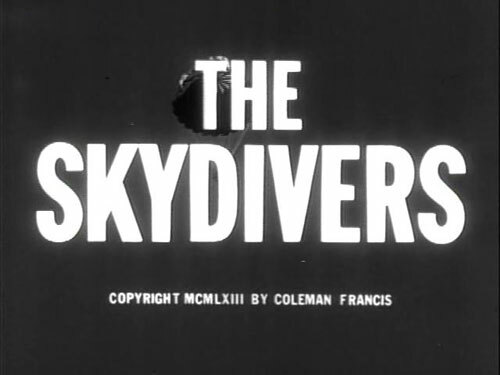 The Skydivers is quite a different film from Francis’ first, in that it actually has a plot, dialog, and characters. 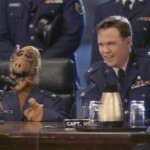 Oh, it still features the same dreary setting, confusing editing, and blinding continuity errors of Beast, but there is at least an attempt to use actual characters to tell an actual story this time around. Unfortunately, this story is told mostly through endless scenes of dull, gray people having dull, gray conversations in dull, gray rooms. In fairness though, these dull, talky scenes are occasionally interrupted by one of a seemingly endless number of scenes featuring dull, gray people skydiving. It really is a smorgasbord of dullness. 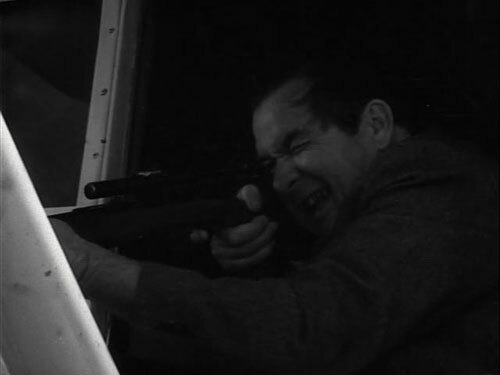 Of course, as with every film in the Coleman Francis oeuvre, the stupid decisions of morally-bankrupt morons cause innocent people suffer and die, and in the end, divine justice is inevitably doled out from a gun-toting vigilante in a light airplane. Notice the look of pure, unbridled joy on Mr. Francis’ face as he guns down his fellow human being.